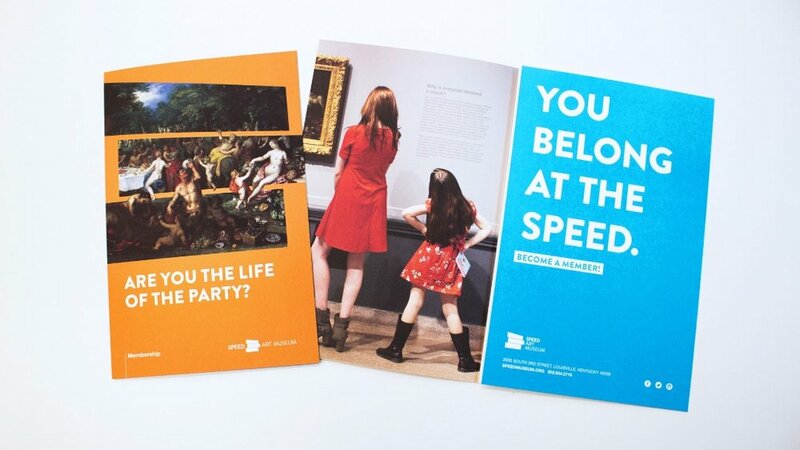 Select projects for the Speed Art Museum, from branding the membership program to designing a gold foil invitation for the museum's premier fundraising event. The Belong campaign rebranding museum membership to focus on the contribution and connection members should feel to the museum. In the past, membership had been just a list of benefits. 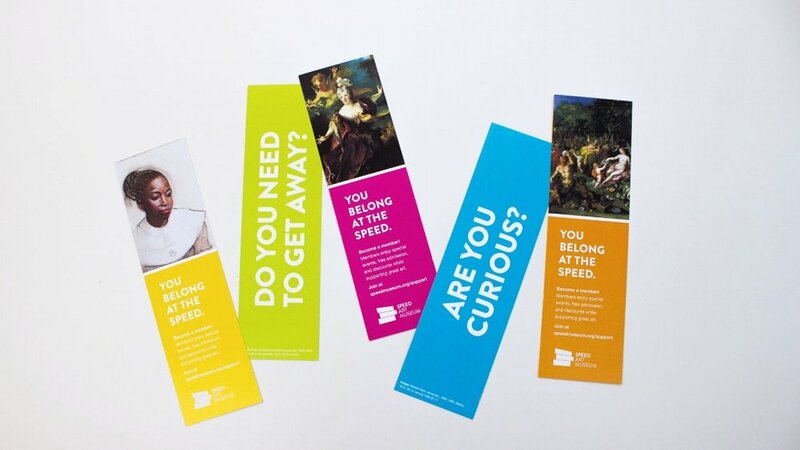 Now, it's about inviting people to belong at the Speed Art Museum. 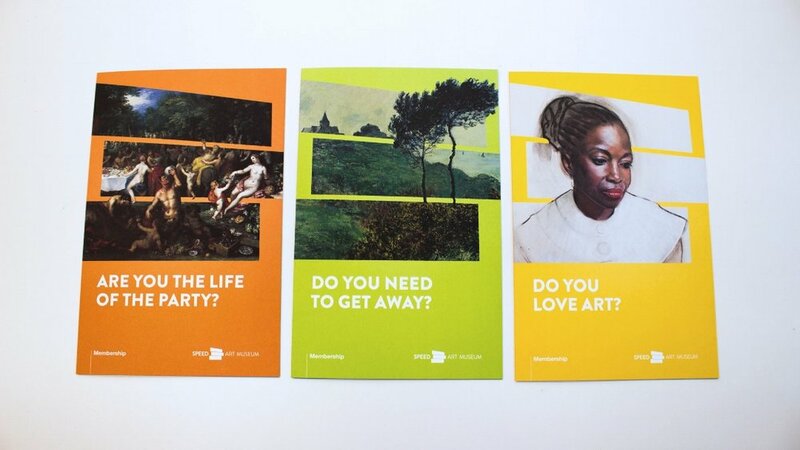 The promotional materials use a variety of questions to relate to different people, paired with varied artworks in the collection. Every two months, a new program is released for the Speed Cinema, which screens art house films. The template has been modified to fit the changing needs of the cinema, but the covers always remain the same, consistent with the museum's branding. 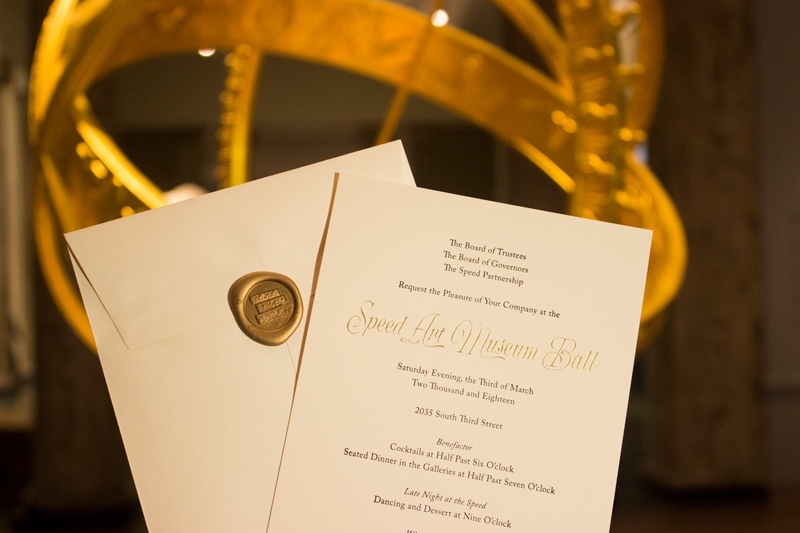 The ball is the Museum's most significant fundraiser, and the 2018 event was an especially formal occasion with a seated dinner. 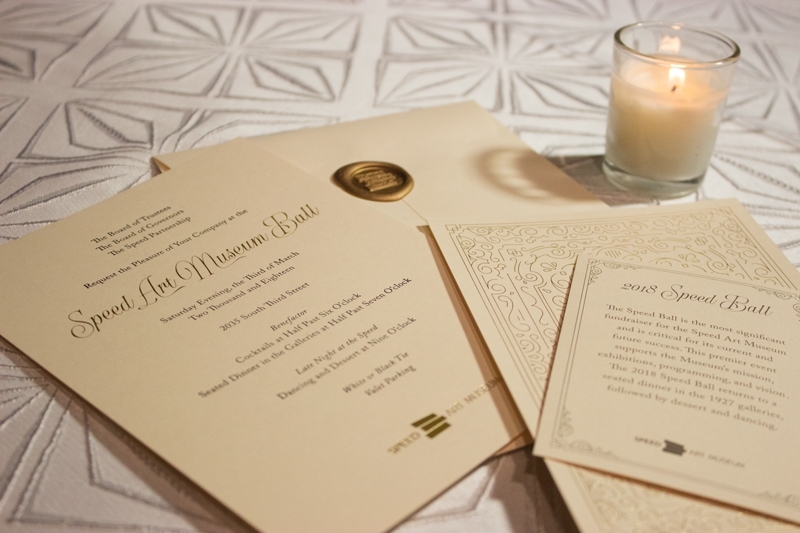 The invitation balances traditional formal invitations with a contemporary, custom designed pattern on the reverse of the multiple invitation cards. The icon was designed to fit the Speed's branding. Inspiration for "photography encouraged" positive messaging was found in a D.C. museum by one of the Speed's employees. Promotion for an exhibition includes everything from print materials to large banners. Executing a promotional campaign across platforms that highlights the art is always a delight.